I was in the gym yesterday, and overheard a conversation between a personal trainer and her client that prompted me to want to share some of my experience with weight training. I began serious weight training in 1984 when I joined a gym as part of my family’s membership. I was excited because there was a lot of equipment and a lot of people to learn from. Whenever I saw someone, male or female, who had an impressive physique, I would ask them for some tips. I asked a lady what she did for legs, a guy what he did for lats, and another lady what she did for abs and so on. I worked out with several friends my age or older and we exchanged tips and ideas over the years as well as trying any new exercises we discovered. It was a great social environment but also a great learning experience. Weight lifting has been a long time hobby and I have concentrated my work outs into exactly what I know works for me. I use a Push/Pull routine, doing Pushing exercises one day, Pulling exercises the next day, and then resting at least one day. I use this method because if you have a Chest day, the exercises work chest, shoulders and triceps. If you have a Back day, the exercises work back, shoulders and biceps. If you have a Shoulders day, the exercises work shoulders, chest and triceps. If you have an Arms day, the exercises work biceps and triceps but also back, chest and shoulders. This leads to over-training and takes away from your overall performance. I work legs on my Push days and do about 16 sets in addition to the 12 sets I do for chest and triceps (plus I do about 6 sets for abs). I don’t do a lot of shoulder exercises because you work shoulders on almost every upper body exercise you do. Your shoulders either work directly or stabilize your arms while you work triceps and biceps. I also like to do a few sets for upper body, then do some abs, then do a few sets for legs so I keep blood flow even and I don’t take any breaks, to make the workout more like a cardio routine. 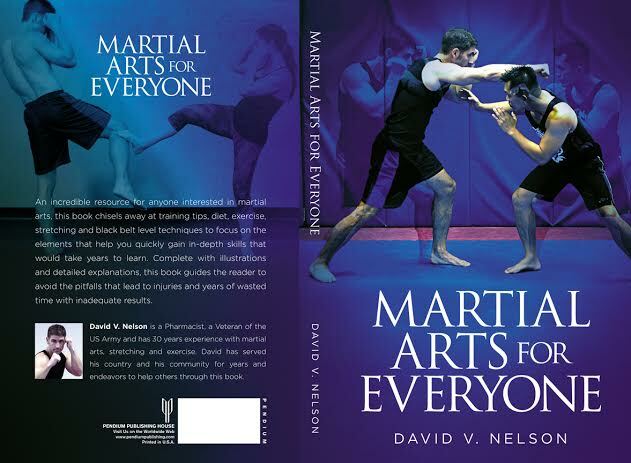 I am including a copy of my exact workout routine as well as many more tips and guidelines in the second edition of my book FOCUSING MARTIAL ARTS POWER. which will be out later this year. Thanks and hope you are hitting the gym.